originally the result of a cross between a Mexican Sativa (40%) and an Afghan Indica (60%). 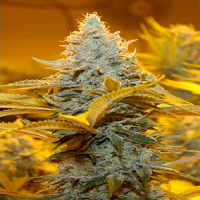 Auto NYC Diesel Feminized Cannabis Seeds by Advanced Seeds: Autoflowering version of the legendary New York City Diesel, originally the result of a cross between a Mexican Sativa (40%) and an Afghan Indica (60%). 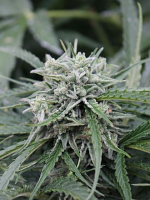 We picked in this autoflowering hybrid whole essence of Diesel genetics, excellent aroma and sweet citrus flavour, grapefruit, tangerine, orange with sweet hints of grape and spices. Because its Sativa genetics can reach a good size Develops contained branch, Ideal for both Indoor and Outdoor as. Because it’s powerful aroma at the end of flowering is essential to use carbon filter in indoor crops.